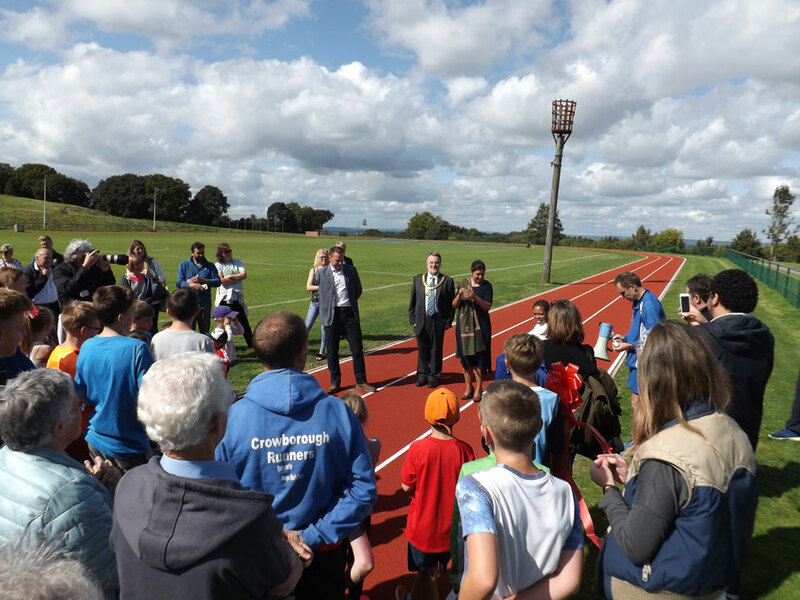 The new running track at Goldsmiths Recreation Ground was officially opened on Saturday.. 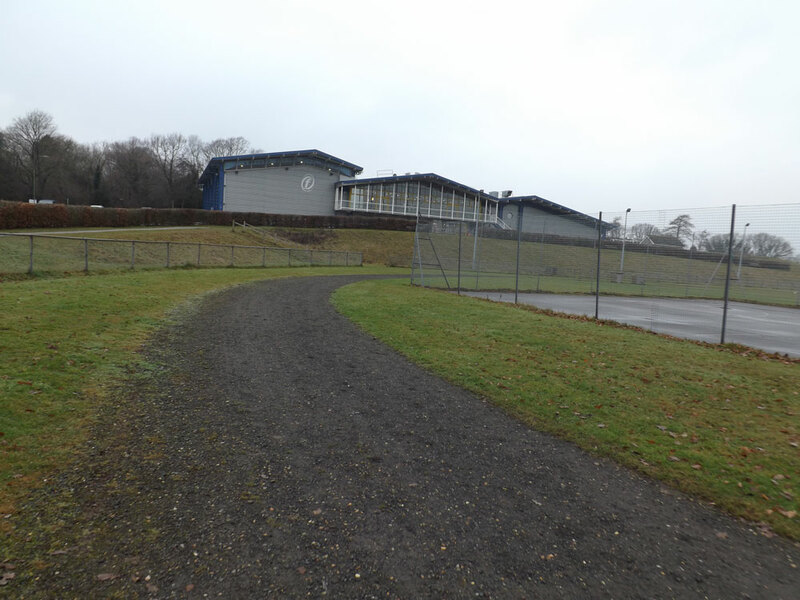 The previous running track was built in 1981 and was thought to be the last cinder running track made in the UK. 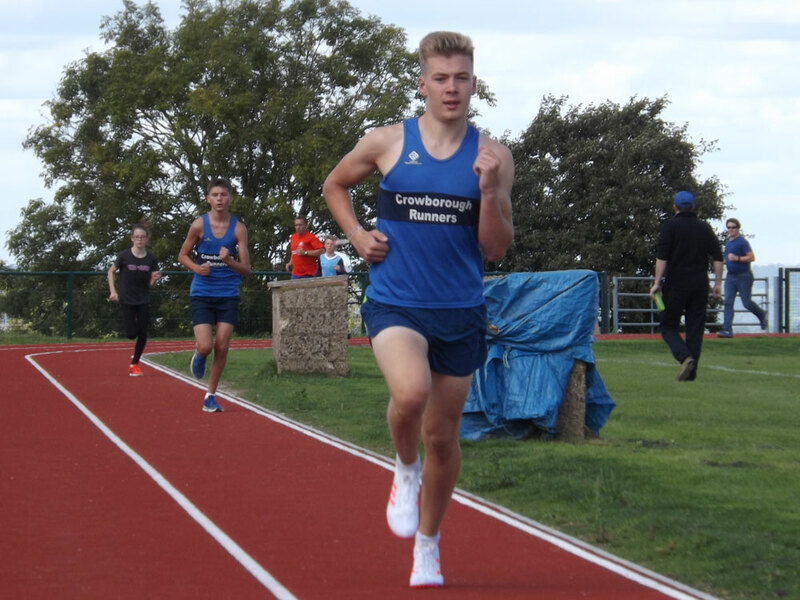 Local running group, Crowborough Runners, have long campaigned to get the track repaired and upgraded. 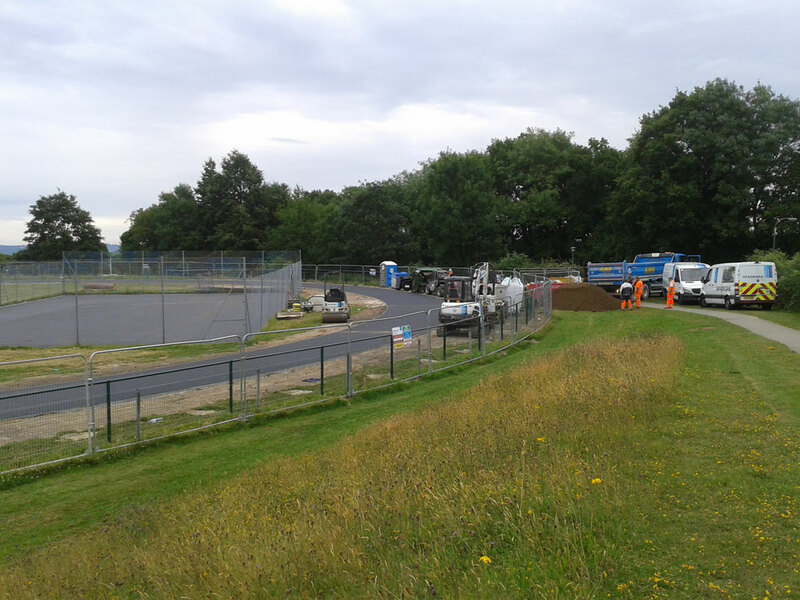 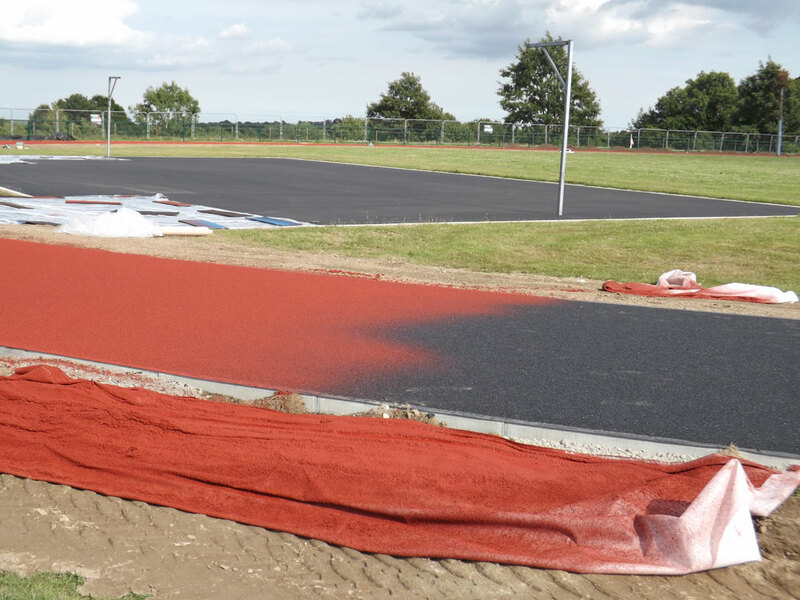 Crowborough Town Council laid a new all-weather polymetric surface during the summer, along with renovations to the netball and basketball courts. 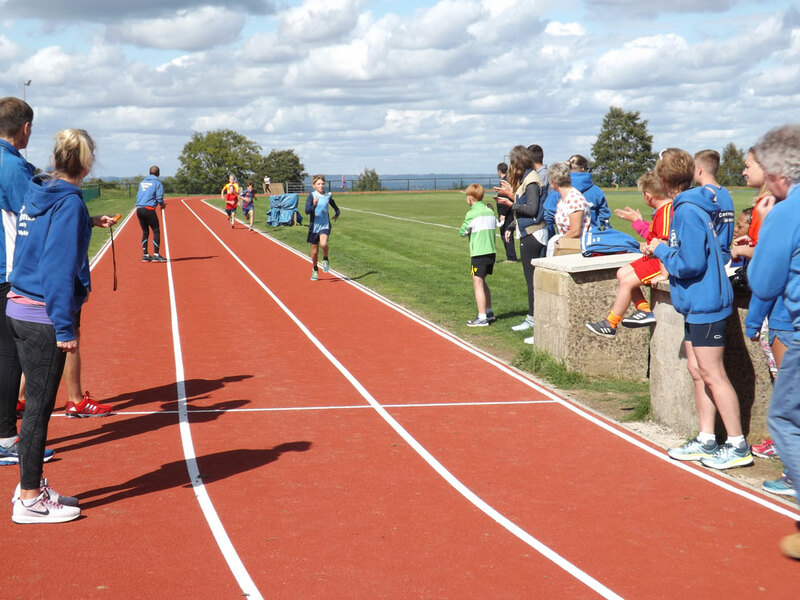 The facilities are available to individuals, local schools and athletics clubs to use for training. 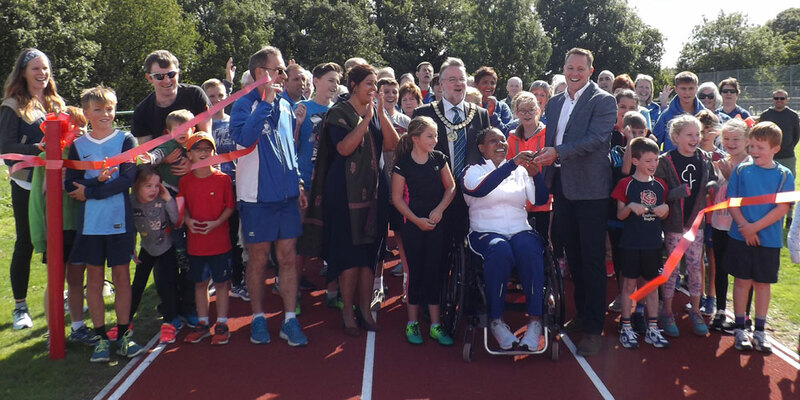 The ribbon was cut by Vanessa Wallace, current Paralympic athlete along with Danny Crates, Gold medal winner in the 800 metres at the Paralympics in Athens. 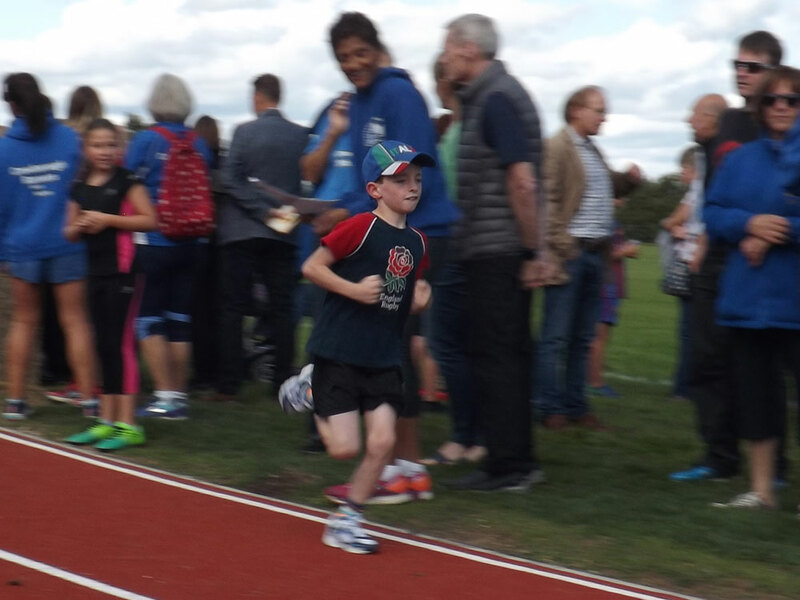 Also present was Wealden MP Nus Ghani and Mayor Councillor Peter Ellefsen. 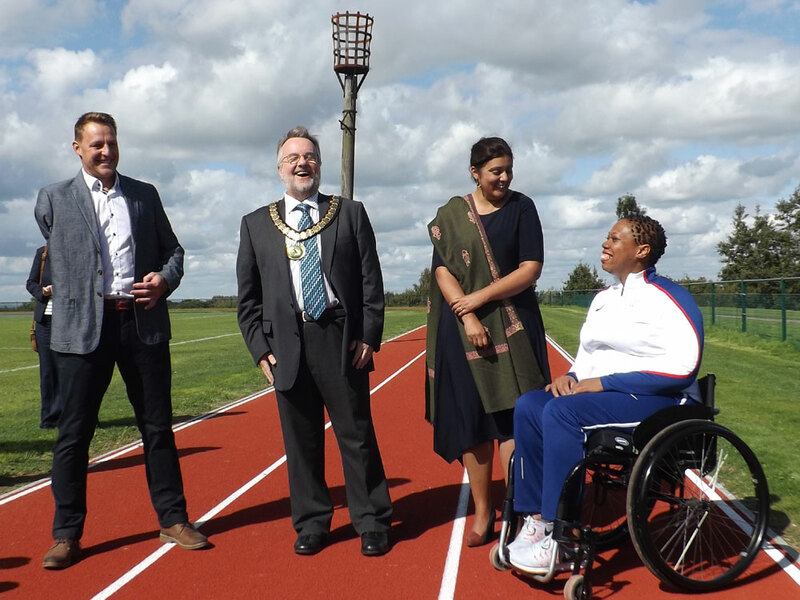 From Left to Right: Danny Crates, Crowborough Mayor Councillor Peter Ellefsen, Wealden MP Nus Ghani and Vanessa Wallace.